This project started directly after a house fire. The fire started when my dog bit a lithium ion battery from a camera and ignited his dog bed. When my husband arrived, the house we had built and moved into three months earlier was covered in smoke, the fire had put itself out, and our dear old pooch sat upstairs unharmed, tail wagging. Because our house was unlivable for a month, my grandmother Mimi graciously took in our family. I sulked at Mimi’s kitchen counter many mornings after the fire, and that is where this project began. I was in the middle of writing my dissertation, where I used the urban heat island effect to predict what will happen with plants and the insects that eat them as the global climate gets warmer. I found that urban trees in hotter areas of the city had more pest insects eating them. As a postdoc, I wanted to go beyond the urban heat island effect as a proxy for warming. I wanted to know how climate change had actually affected insect damage to plants. 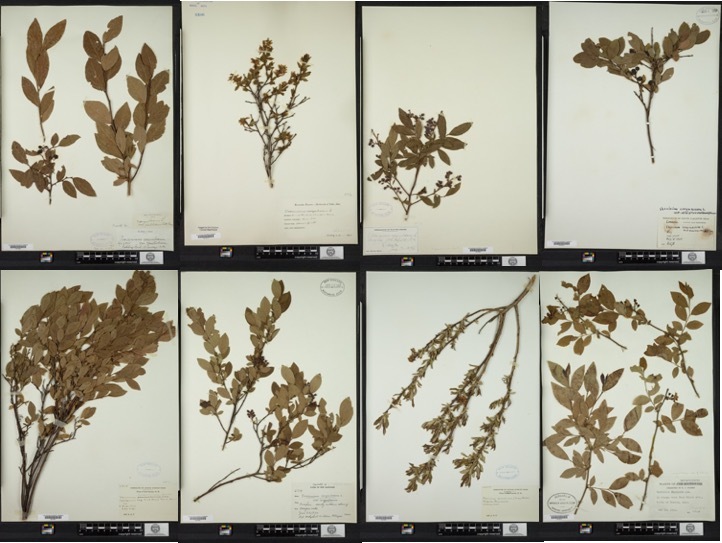 So, in a moment of lateral productivity/procrastination, I decided to surf google images of herbarium specimens that morning at Mimi’s counter to see what kinds of secrets they held about past interactions between plants and insects. 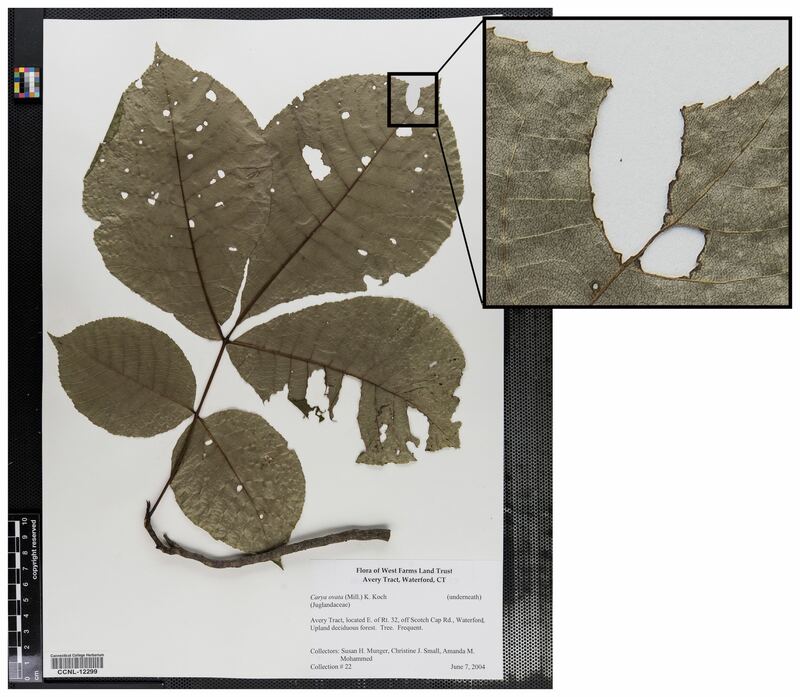 Herbarium specimens are dried, pressed plants or parts of plants that were preserved for many reasons, but pretty much never to document insect damage. More often than not, botanists try to collect specimens that are damage-free. But, I quickly learned, they aren’t great at it. From the beginning, I noticed a lot of damage on specimens. I applied for funds for this project with other scientists Jonathan Davies from UBC and Aimée Classen and Nate Sanders from University of Vermont. The grant was declined the first time, and a revised version was accepted the following year (a little nod to persistence). 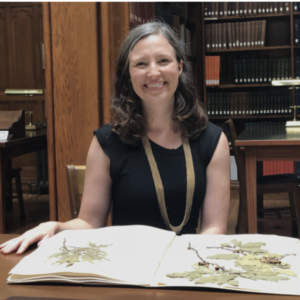 With the council of Chuck Davis from the Harvard University Herbaria where I was now working as a postdoc, I began to develop methods to quantify insect damage on herbarium specimens. It wasn’t easy, because herbarium specimens are different sizes and shapes, which doesn’t lend them to ecological sampling. Herbarium specimens come in a variety of sizes and shapes, which is lovely, except for when you want to use them for ecology. 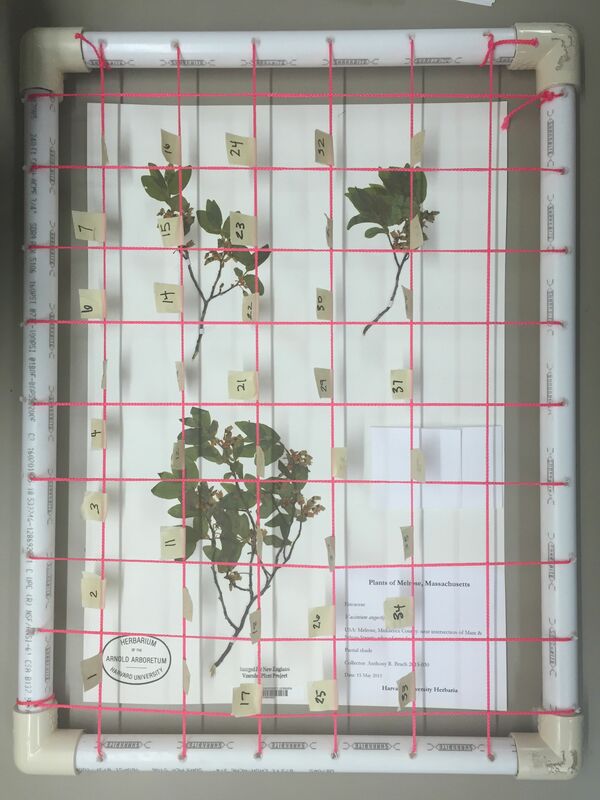 In a triumphant moment, we solved this problem and developed a grid-based system to sample herbarium specimens for herbivory. I randomly chose grid squares and marked them as with or without insect bite marks, allowing us to systematically quantify the amount of damage on specimens of very different sizes and arrangements on herbarium sheets. 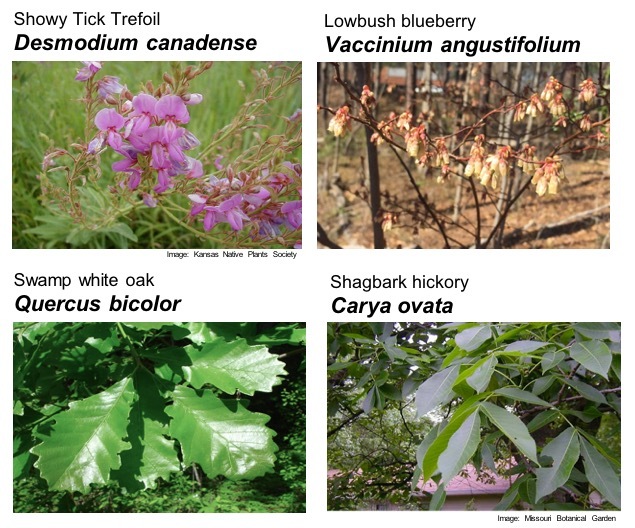 The four plant species we decided to focus on live the northeastern US and have important jobs in the forest, e.g., they provide food to forest animals (bees, mammals), timber, or blueberries for us. After many hours, weeks, and months of counting yes/no boxes on hundreds of specimens, we found that over the past 112 years, insect damage increased on all four plant species, and in three out of four, this appeared to be associated with the fact that winter has warmed in the northeast. What does this mean for forests? In the northeastern US, we might see widespread increased insects damage across many plant species, because the ones we sampled for this project were not closely related to one another. That means they host different herbivores which appear to have convergent responses to warming. It’s possible that plants are robust to increasing herbivory – they have been dealing with insect damage for over 400 million years. However, the climate is arguably warming faster than ever, and insect damage might be increasing at an unprecedented rate. Since herbivores can depress plant photosynthesis and growth, there’s a real need to go into the forest and the lab to see how these herbivores affect young and established plants. We also need to know if this is happening in more places. Because herbaria house plants from all over the world, they are ripe for continuing these investigations. Now that this project is wrapped up, I’m happy to report that the house is livable again. Mimi’s counter remains a place of safety, where grand ideas can make their way to the surface. Maybe I’ll sit there over the holidays and see what comes to mind.